Electrical and magnetic properties of manganites are governed by a delicate balance between several mechanisms such as charge, orbital, and spin ordering superimposed to lattice effect that can cause mesoscopic phase separation. Manganites have generally a rich phase diagram, and their properties are very sensitive to external perturbations (e.g., electrical and magnetic fields, X-ray illumination, hydrostatic pressure, and epitaxial strain), which can cause phase separation at a given temperature. The growing interest in the manganites, in both, bulk and thin film form, is due to their possible device applications and, particularly, the new physics, based on strong electron–electron interaction. The observed peculiarities like colossal magnetoresistance (CMR) and metal to insulator (MI) transitions may serve as examples. 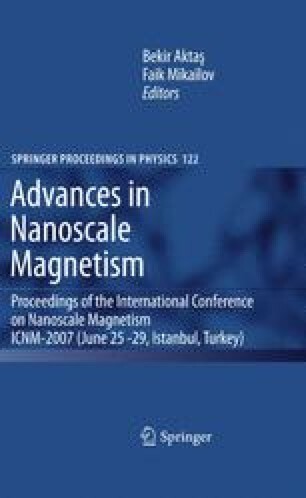 In this work, first an overview about the general properties of manganites, important mechanisms controlling phase separation, and some of the key observations about the modification of electrical and magnetic properties by external effects is given. Subsequently, the consequence of epitaxial strain is elaborated in more detail and results regarding the epitaxial La0.5Ca0.5MnO3(LCMO) thin films, grown on planar (100), (111) SrTiO3(STO), (001) SrLaGaO4(SLGO) substrates by pulsed laser deposition technique (PLD), are presented.